You got charged with reckless driving in Virginia, and now you are scouring the internet trying to figure out what to do. There is a lot of information put out there to scare you about how you are going to jail and losing your license. The truth is, most cases like yours are resolved favorably. If handled properly, you can minimize the consequences of this charge. In this guide, I am going to help you understand the charge of reckless driving, and what you need to do to succeed in your case. Speeding is by far the most common reason for drivers in Virginia to be charged with reckless driving. The Commonwealth takes speeding very seriously. The law in Virginia sets a limit after which a police officer can charge you with reckless driving regardless of your other driving behavior. It doesn’t matter if you were going with traffic. It doesn't matter that you were driving safely. If you are exceeding the speed limit by a certain amount, it will constitute reckless driving under Virginia law. Keep in mind, there are plenty of highways in Virginia where the speed limit is 70. If you are going 81 mph in a 70 mph zone - you guessed it - you can be charged with reckless driving. As you can see, this law is strict. It is also very heavily enforced. There are three methods with which police officers measure speed - radar, pacing your vehicle, and LIDAR. Radar and LIDAR are the most common and effective as they are not as subjective as a pace. The officer is not required to show you the results of a radar or LIDAR measurement. In fact, there is no hard physical copy of the result, rather it is the police officers memory of the radar or LIDAR reading that will be used against you in court. Regardless of how an officer measured your speed, that equipment must be properly maintained and calibrated, as well as operated correctly by a trained individual. The police officer must be able to prove calibration of the radar, LIDAR or speedometer in court through records. Reckless driving by speed ranges from one of the least serious criminal offenses in Virginia to a charge that will almost certainly result in jail time - depending on how fast you were going. 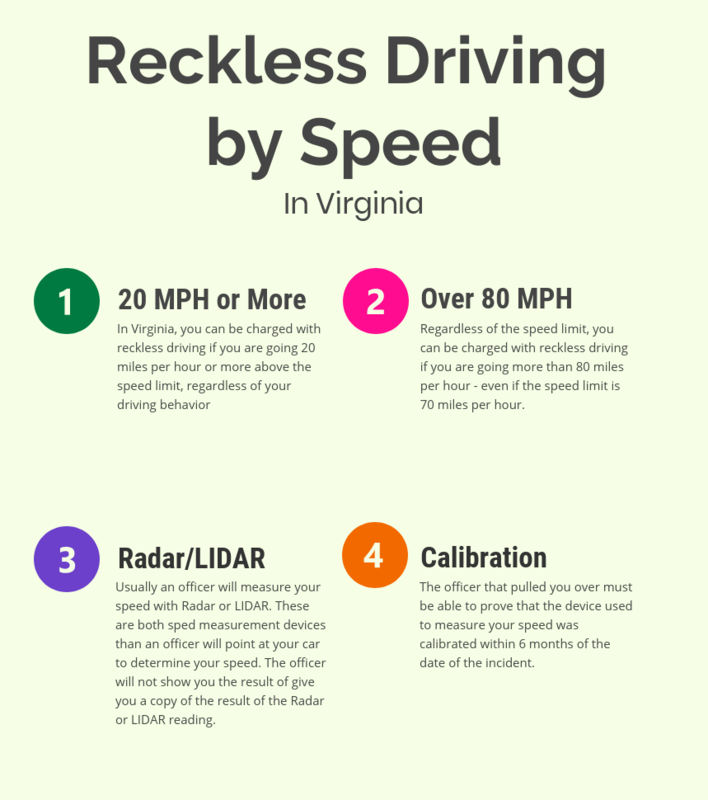 Each county in Virginia treats reckless by speed differently. A culture will develop in each courthouse for how prosecutors and judges approach different speeds. As a general rule of thumb, if you are going more than 90 miles per hour on the highway, you are starting to see some of the more serious consequences for this charge such as jail time or a license suspension. Even Jayson Werth, a star of the Nationals baseball team, had to serve a 5 day jail sentence for driving more than 100 miles per hour in Fairfax County. If you are going between 75 and 84 in a 55 mile per hour zone, this is typically the least severe type of case. Once you get into the high 80’s, you are usually not looking at jail time but it can be more difficult to get the charge reduced to a simple traffic infraction. In lower speed limit areas, such as in a 25 mile per hour zone, the character of the area comes into play. If you are speeding in a residential neighborhood it will be treated more harshly than in a business district. 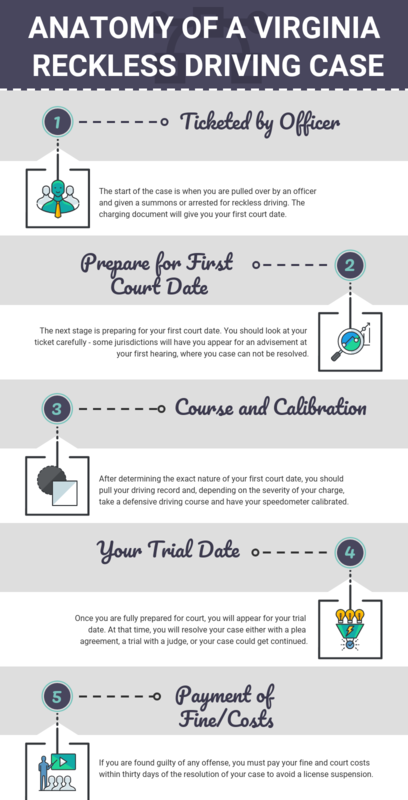 No matter what county your case is in and what speed you were going, your driving record will make a huge impact on the outcome of your case. If you have multiple prior speeding tickets, a judge or prosecutor is much less likely to give you a break. A clean driving record will go a long way in showing that this was a one off event and that you are not an habitual speeder. Ultimately, you are best off speaking with an experienced attorney who regularly practices in the county where you were charged to understand more about the likely outcomes in your case and what you should do to get the best possible result. Another common way that drivers are charged with reckless driving in Virginia is after an accident. Frequently, police respond to even “fender-bender” accidents which result in very little property damage and no injuries. Once the police are on the scene, it is very common for them to issue a reckless driving ticket to one of the drivers involved. Obviously, the officer didn’t see the accident in most cases, so the decision about which driver to charge is based on what they can see of the aftermath and the statements they get from the drivers and any witnesses available. Virginia drivers can find themselves in a frustrating situation where they are charged with reckless driving and the only witness to their driving behavior is someone with a strong motive to put the blame on them - the other driver. Accidents are usually charged as “Reckless - General” under Virginia code section 46.2-852. This is a type of catch-all code section for driving in a way that puts a person or any property in danger. Because it’s so broad, police can find a way to apply it in almost any situation that resulted in an accident, even when they don’t know the exact driving behavior of each person involved. Drivers are also often charged with general reckless driving after a single-car accident. In this situation the charge is often very hard for the prosecutor to prove in court. Remember, you can’t be forced to testify against yourself! If there are no other witnesses, the prosecutor may not have any evidence at all of your driving behavior before the accident occurred. Sometimes your case is scheduled for a court hearing before the insurance companies have even finished their investigation and processed the claim. In that case, everyone involved may want to delay the court date until they have more information. If you don’t think the accident was your fault and your insurance company hasn’t made a decision yet, it’s important to proceed carefully with the reckless driving charge in court. 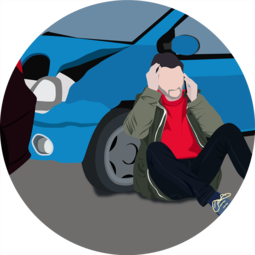 Admitting guilt to reckless driving or even a lowered charge could be used against you by the insurance companies involved. Even if it’s clear that the accident was your fault and your insurance company has started processing the claim, the prosecutor will usually want to confirm that the other driver’s property damage and medical bills have all been covered before the make an agreement in your reckless driving case. Often the only witnesses involved are the drivers of the two cars. Sometimes a passenger or bystander will also give their name and contact information to the police. The police officer then has to issue a subpoena to all of the witnesses for the court date. 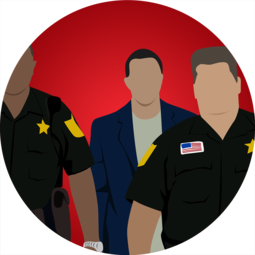 In most Northern Virginia courts, the officer does not subpoena witnesses to appear at the first court date. That hearing is used to determine if the prosecutor is seeking a jail sentence in the case, or if the case can be worked out through a guilty plea to reckless driving or a reduced charge such as improper driving. If the case isn’t resolved, the officer must subpoena witnesses for the trial date. 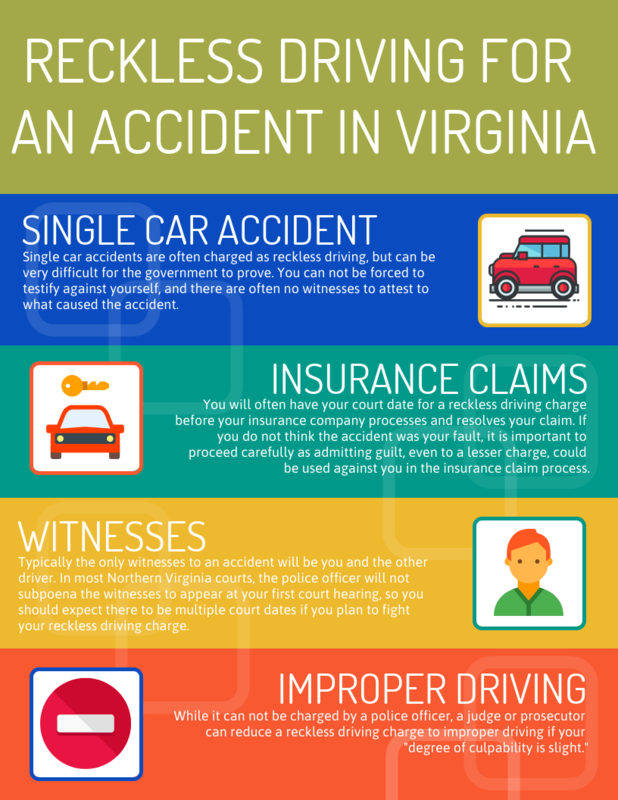 Frequently, witnesses to reckless driving accident cases don’t live in Virginia or aren’t in town on the day of the trial. If the witnesses don’t appear for the trial, the prosecutor may be forced to drop your charge because he can’t prove the case without them. It is not a misdemeanor. It carries 3 points instead of 6. It has a lower maximum fine. However, before pleading guilty to improper driving you should be sure the government can prove their case against you and you aren’t admitting guilt in a case where liability hasn’t been decided yet by insurance. There are number of steps you can take before your court date put yourself in the best possible position. These are primary directed toward establishing some mitigating circumstances that you or your attorney can raise with the prosecutor or judge. While it can be helpful to review legal defenses, any success you have in trial will be largely dependent on what happens that day in court. For example, does the officer come prepared, and how effective is his testimony. What you can do now will be more helpful for negotiating to have your charge reduced. You want to show the prosecutor or judge that are taking this charge seriously and treating it with the importance it deserves. Over time the speedometer on a vehicle can stop accurately displaying the vehicle’s speed. This problem can be exacerbated by changes in tire size and pressure or previous repairs. A speedometer calibration may reveal that your faulty speedometer made you believe you were driving slower than you actually were. Keep in mind, this not a legal defense to the charge of reckless driving by speed. The prosecutor just needs to prove what speed you were actually going, not what speed your speedometer showed. However, you or your attorney can use this information to negotiate with the prosecutor before trial or to present to the judge to mitigate your intent. A helpful speedometer calibration can be the difference between a conviction for reckless driving and reduction to simple speeding, especially in borderline cases. 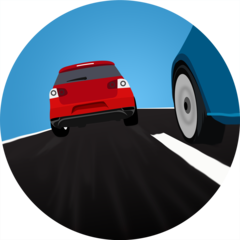 It is also helpful to complete a driver improvement course. Some jurisdictions have particular courses that they prefer, and you should investigate before signing up for one. There is another chapter of this guide devoted to how the Northern Virginia jurisdictions handle reckless driving. For other counties in Virginia, you should contact a local attorney. You will generally have two options for complete a driver's improvement course. You can take it online, or in person. For the online driver’s improvement course, I typically recommend the website www.idrivesafely.com. This will be more appropriate if you are at a ‘reasonable’ speed, as a benchmark you can use 30 miles above the speed limit or less. You should take the ‘voluntary’ course as opposed to the ‘court ordered’ course. I usually recommend you take the course offered for the state where you are licensed, as it is more likely to benefit your insurance or your driving record. 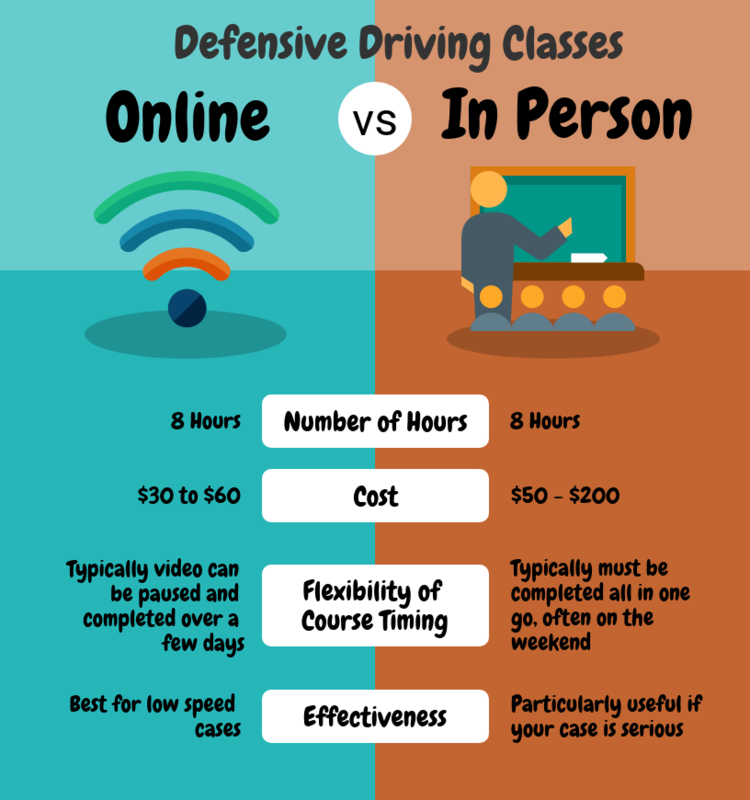 If your case is more serious due to a very high speed, dangerous driving behavior, or a bad driving record, you should take an in person defensive driving course approved by your DMV. You can find a list of Virginia DMV approved in person defensive driving courses here. Only in the most severe cases would I recommend you perform community service in anticipation of your reckless driving case. For most cases, it will be overkill. However, for more serious cases in some Virginia jurisdictions, doing community service before court could mean the difference between spending the weekend in jail and receiving a fine. It is hard to give a blanket rule for at what speed or in which circumstances it would make sense to do community service. 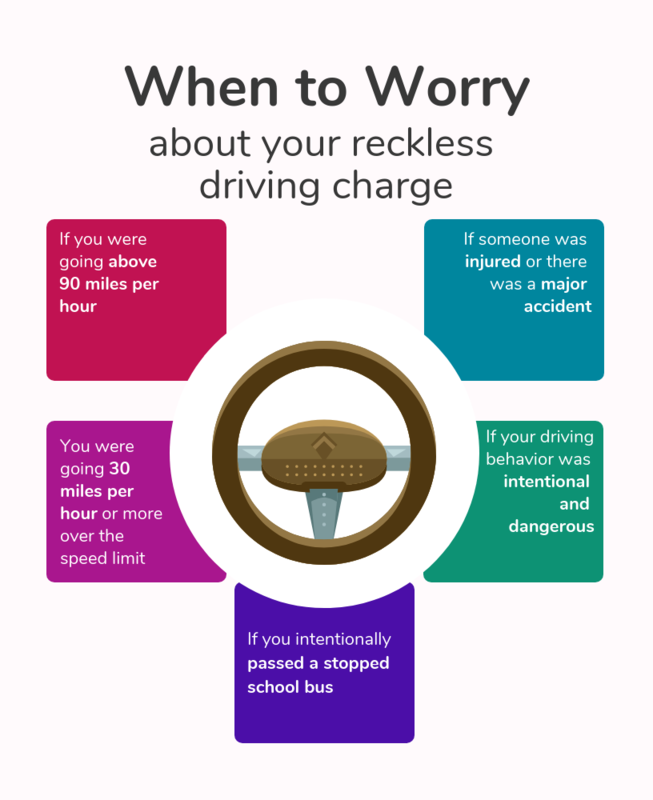 Each county treats reckless driving differently, and you have to assess your situation based on where you were charged. The best advice I could give is that if you think you might have a serious case, call an attorney that practices in your area as soon as possible. If it would help you to do community service, you need to know as soon as possible so you can get it done before court. The best places to do community service tend to be non profit thrift shops, the Salvation Army, animal shelters, or shelters serving indigent persons. You should avoid anything that requires extensive training, such as Habitat for Humanity. If you are a member of a church, temple, or other religious organization, they are typically connected with community service opportunities. Chapter 4: Do you Need an Attorney for Reckless Driving? This is a question I hear all the time. The answer is - it depends. It depends on why you were charged. Was it reckless driving by speed, for driving behavior, for an accident? It depends on your driving record. Are you typically a saintly driver or did you have three speeding tickets last year? It depends on what jurisdiction your case is in. In Fairfax County, you can not negotiate with a prosecutor unless you have a lawyer. In Arlington and Alexandria, the prosecutor will speak directly with defendants. What is undoubtedly true is that an attorney will increase your chances of getting the best result possible. Reckless driving cases are not rocket science. That being said, it helps immensely to have an experienced attorney who is familiar with the prosecutors and judges in the jurisdiction where you were charged with reckless driving. Especially if the consequences for you would be more severe than for another person, such as if would affect your career, security clearance, or an immigration matter, you should almost certainly hire an attorney. On the flip side, there are some situations where your worst case scenario really will not be that bad, such as if you are retired and you are charged with ‘low speed’ reckless. In that situation, it is not nearly as risky taking your chances without a lawyer. You should also keep in mind that in many cases a lawyer can go to court on your behalf, so you don’t miss a day of work, pay for child care, or suffer some other inconvenience from going to traffic court. The bottom line is that you do not necessary need a lawyer in every reckless driving case in Virginia, but it will almost always make it more likely that your charge will be reduced or you will get some sort of reduced punishment. The only advice I can give you that will apply in every situation is that it is at least worth consulting with a local attorney about your case. Most attorneys that handle reckless driving in Virginia will give you a free consultation, and you should get an analysis from a lawyer who handles reckless driving regularly in the jurisdiction where you were charged before deciding to go to court without an attorney. This equipment is increasingly common among both local police and state troopers in Virginia. Officers will typically make a notation on the speeding or reckless driving ticket to indicate what method was used for speed detection. For LIDAR, an officer will often write “LID” and may also make a notation regarding the distance between the LIDAR gun and the vehicle n questions. Unlike Radar, which uses radio waves, LIDAR uses a beam of light which can be aimed at an object. First, the police officer takes aim at the desired vehicle with the LIDAR gun. Officers are trained to aim at the license plate, as this is the most reflective part of a vehicle. With one pull of the trigger, LIDAR will send out multiple laser pulses over a fraction of a second. The pulses are reflected from the car back to the LIDAR gun, allowing the officer to get a speed reading of the vehicle. This entire process takes approximately 1/250th of a second. The laser pulses are degraded in a number of ways. The most common are distance from the officer to the vehicle, refraction from differences in air density, if fired through the windshield of the police cruiser, from facing the sun, when aiming at a vehicle traveling toward the officer rather than away from the officer, and by ‘sweeping’ and getting a read from more than one vehicle. 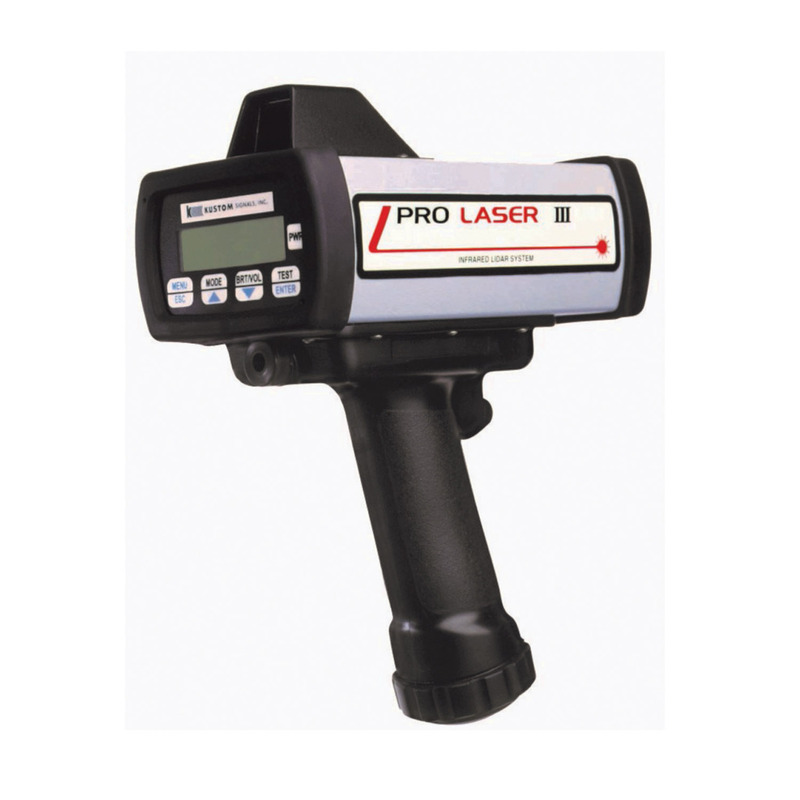 The most commonly used LIDAR gun in Virginia is the Pro Laser III manufactured and distributed by Kustom Signals, Inc.
Kustom Signals, Inc. is also often tasked with calibrating the LIDAR guns every six months. It is important to determine whether the officer used the LIDAR gun in accordance training by the department as well as with the operator’s manual that is issued along with Pro Laser III. Police officers will sometimes determine that a driver is traveling fast enough to be charged with reckless driving through a method called pacing. 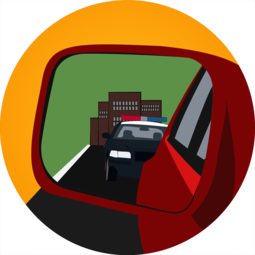 Pacing typically involves the officer following behind or next to the car and observing the speed of his cruiser on his speedometer. Pacing also requires that the officer believes the distance between his cruiser and the other car did not change over the distance of the pace. This is a subjective statement which can be difficult to verify and to prove at trial. It is clear from this type of proof that the accuracy of the police cruiser speedometer is essential to getting a precise determination of the driver’s speed. Thus, it is important in every case to make sure that the government has met its burden of establishing that the speedometer is accurate and that such proof is admissible in court. The speed in reckless driving cases is often determined by Radar. A radar gun is a Doppler radar that can be either hand held and pointed at a vehicle or mounted in an officer’s cruiser. An officer can employ both stationary and moving Radar. The gun measures the speed of a vehicle by utilizing the Doppler effect. The Doppler effect, or Doppler shift, is the change in the frequency of a wave from the viewpoint of an observer relative to the source of the wave. So, for instance, if a car is driving toward you with its horn blaring, the frequency of sound waves will be higher as the car approaches you, and lower as the car recedes. Most people have experienced the Doppler effect with sound without realizing it. This video is a great example of how the effect works with sound. In order to measure the speed of a car, the Radar gun sends out a radio signal in a narrow beam and then receives the reflection of the signal as it bounces off the vehicle. If the car is moving toward or away from the Radar gun, the frequency of the reflected waves will be different than the signal sent out from the Radar gun. With that information, the gun will calculate the speed of the vehicle. There are a number of defenses to the results obtained from a Radar gun. First, there are a number of technical requirements that the government must meet in order to admit the results into evidence. The radar gun must have been calibrated with the 6 month period prior to the date the ticket was issued, and the officer must have checked the accuracy of the gun. 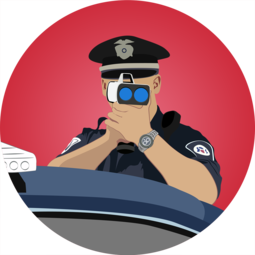 Even if the officer does have a certificate of calibration for the Radar gun, it is unsettled as to what witnesses the government must present in order to introduce a certificate of calibration for the radar gun. There is case law to support the argument that the actual technician who calibrated the Radar gun must be present in court. Beyond the issue of calibration, there are a number of ways to call into question the accuracy of the result of the Radar gun in each particular circumstance. Environmental and operational conditions can interfere with the functioning of the device, giving an inaccurate reading. For instance, the fan of the cruiser’s air conditioner, another moving vehicle that is reflecting the radar beam, or shadowing for moving radar can all cause inaccurate readings. This equipment is common among both local police and state troopers in Virginia and frequently used to determine speed of vehicles for speeding and reckless driving charges. 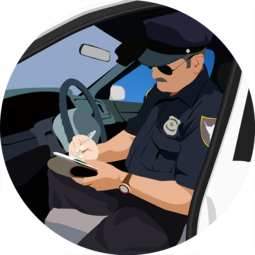 Officers will typically make a notation on the speeding or reckless driving ticket to indicate what method was used for speed detection. For Radar, an officer will often write “Rad” or “RD” on the ticket. 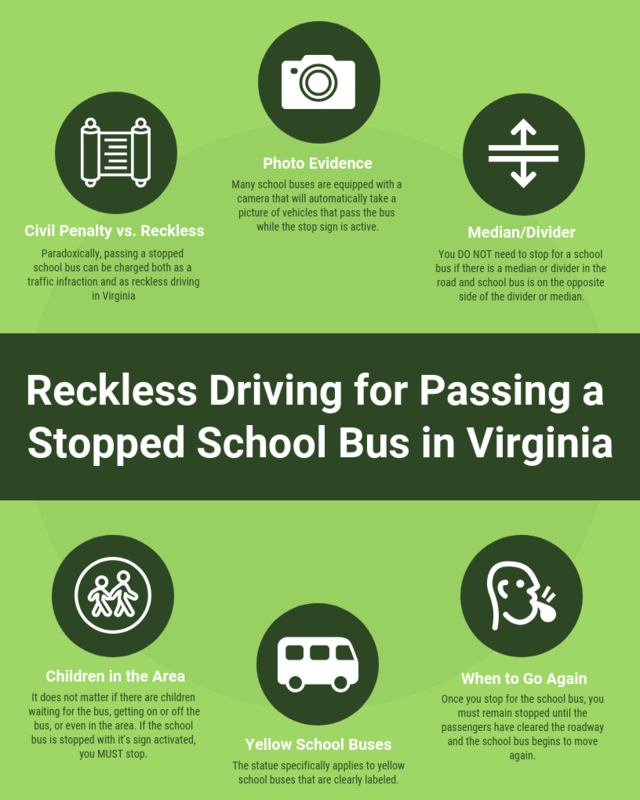 Many Virginia drivers are surprised to find out that the ticket they get for passing a stopped school bus is actually a reckless driving charge. In fact, the ticket is sometimes sent to the registered owner of the vehicle, even if no police officer stopped them at the time. The code specifically allows for buses to have a video monitoring system and then shifts the burden to the car’s owner, who has to prove that he wasn’t the one driving that day. Sometimes people don’t even notice that a school bus is stopped with flashing lights when driving through the heavy traffic and multiple lane roads of Northern Virginia. Other times, the driver and police officer disagree about whether the bus was actually stopped with lights flashing and the stop sign extended at the time the car drove past. People often ask us when they are required to stop for a school bus and when it is safe to pass. First, any time the bus is on a part of the road separated from your car by an area of pavement, grass, or barrier such as guardrail, you should not stop for the bus. That means that if you are on the opposite side of a divided highway, you should keep driving. Also, if you are on the main roadway and the bus is on the nearby service road, you should keep driving. Second, even if you don’t see kids waiting to get on the bus, you should stop when you see the lights flashing. The law says that the bus just has to be stopped for the purpose of picking up or dropping off passengers. It’s not required that kids are actually in the process of getting on or off. 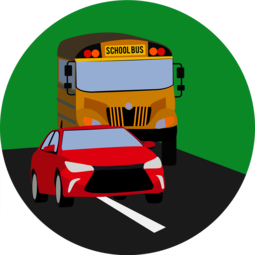 Finally, if you are stopped for a school bus, you need to remain stopped until all of the passengers have cleared the roadway and the bus starts driving again. Don’t assume that you can go around when you see the last kid step onto the bus or sidewalk. The Virginia school bus reckless driving law specifically states that it applies to yellow school buses, clearly labeled as a school bus. It also requires the bus to have certain warning lights and signs that must be turned on before the bus reaches the stop. Drivers often wonder if they can continue passing while the lights are yellow and only have to stop when they turn red and the stop sign comes out. The law doesn’t address any difference between yellow and red lights on a bus. The safest approach is to stop if you safely can as soon as you notice any warning lights on a school bus. 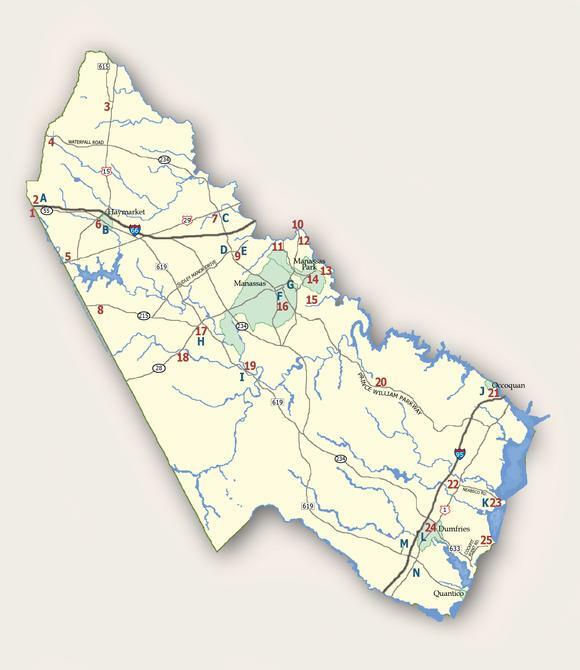 Fairfax is, bar far, the most populous county in Virginia. With over 1 million residents, it is more than twice the size of the second most populated county. It is also a meeting point for some of the busiest highways in the state: I-485, I-66, and I-95. 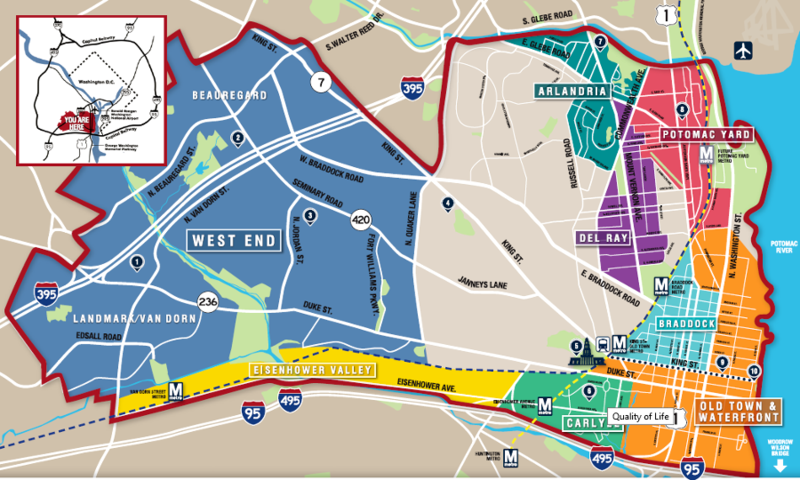 Not to mention the Dulles Toll Road and all the various busy streets such as Route 50, Route 29, and Route 28. At rush hour, the roads are packed with commuters going into an out of Washington, DC. Not surprisingly, the result of the size and congestion of the roads results in many, many traffic cases. The Fairfax County General District Court will typically handle over a thousand traffic cases per day, typically split between just 4 or 5 courtrooms. Each of those courtrooms will have a prosecutor, and that prosecutor will only negotiate in cases in which an attorney has been retained or appointed to a defendant. This is simply due to the high volume of tickets - there really would be no way for the Commonwealth Attorney assigned to each courtroom to speak to the 100-300 people in that courtroom each day. As a result, if you go to court without an attorney, your reckless driving case will be heard by a judge. You can either plead guilty and ask for mercy or plead not guilty and and have the judge hear from both you and the police officer. If you go in front of a judge, your results will in large part depend on which judge happens to hear your case. Judges are people and each will approach cases differently. With one judge, you might get the charge reduced to simple speeding, with another, you could get convicted of reckless driving. There is a general rule of thumb in Fairfax County that if you are going above 90 miles per hour, some of the more serious consequences of reckless driving are on the table, such as a license suspension or jail time. If you do hire an attorney, the attorney will have the opportunity to negotiate with the prosecutor assigned to your courtroom and talk to the police officer. You will then have the option of accepting a plea agreement or having a trial in front of the judge. Typically a prosecutor will offer you something that is in between the best and worst outcome if you were to go to trial. There is an incentive for the prosecutor to resolve your case favorably. The prosecutor will have 20 to 40 cases, ranging from speeding to more serious offenses like DUI and hit and run. In most cases, a reckless driving charge will be relatively minor, and if that prosecutor can only draw a line in the sand on 4 or 5 cases each day, a reckless driving ticket will not typically be their top priority. It is also the prosecutor's role to assess a case and make a determination of whether it is appropriate to amend the charge, whereas a judge is really supposed to be looking at the evidence and deciding if the police officer has proven the case. Because of this, you will typically have a more predictable and favorable outcome for your reckless driving case in Fairfax County if you have retained an attorney. The first difference you will notice when you are charged with reckless driving in Alexandria City, Virginia is that your first court date will be an advisement. This is basically an opportunity for the court to determine whether you are eligible for court appointed counsel, set your trial date, and inform you that coming to that trial date without a lawyer will mean that you will be going forward without one. The police officer and prosecutor that will handle your case will not typically be present for the advisement. It will not be an opportunity to resolve your case. If you hire an attorney, your lawyer can go to the advisement on your behalf and pick a trial date, you will not need to be present. 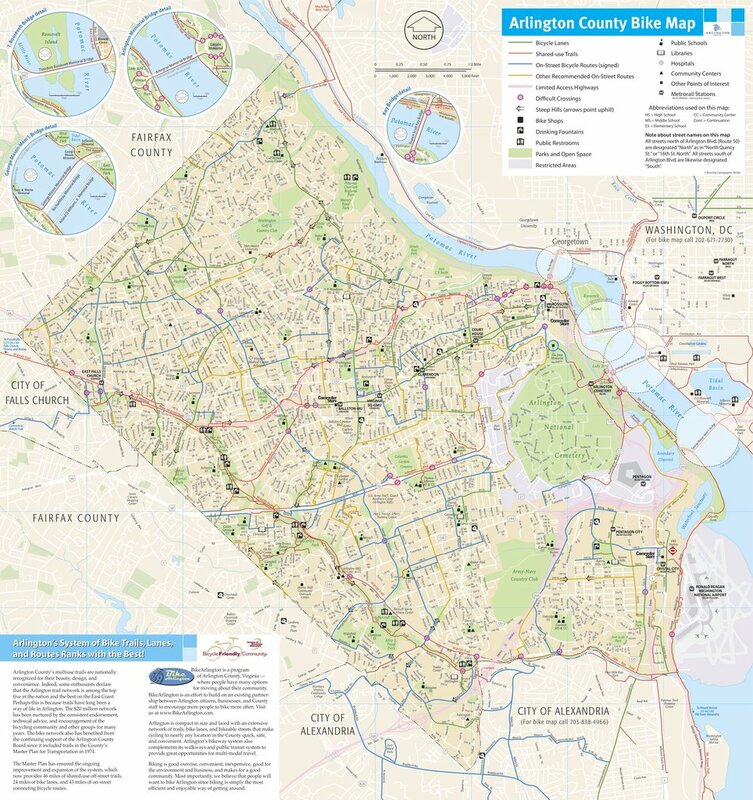 Alexandria is a relatively quiet jurisdiction by Northern Virginia standards. 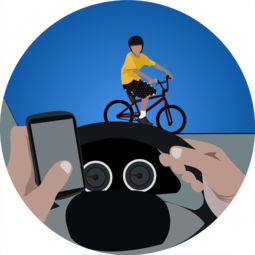 The court allows defendants to enter a defensive driving program and return on a future court date for a reduction in punishment. It is common for a person charged with reckless driving to go to court in Alexandria on three separate dates - for the advisement, for the trial date, and for a return date. The prosecutor for the government will negotiate with you regardless of whether or not you have an attorney. If you go without a lawyer, you should absolutely talk to the prosecutor before putting your case up in front of a judge. In Alexandria, there is a similar rule of thumb as with the other Northern Virginia jurisdictions that going above 90 will put you at risk of the more serious consequences of the charge, such as a license suspension or jail time. Arlington County has one traffic courtroom each day that will handle all of the traffic cases. There will be a prosecutor assigned to that courtroom, and the prosecutor will speak with defendants who don’t have a lawyer. It is very important to first go into your courtroom and sign your name on the clipboard at the front of the room. That way, if the judge calls your case he will know you are out in the hallway with the prosecutor. Otherwise, the judge will assume that you didn’t show up for court and could find you guilty of the misdemeanor in your absence or even issue an arrest warrant. 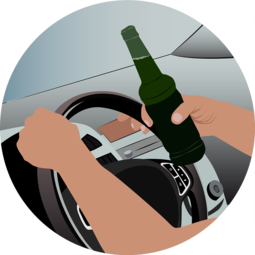 Arlington is a generally strict jurisdiction, and if you are going a high speed or your driving behavior was dangerous, you could be looking at a license suspension or jail time. The court will not have an advisement for reckless driving cases, so your first court date is your first trial date when the case can be resolved. If the court requires your to complete a drivers improvement course or some other conditions for a reduction in punishment, you will return for a special 2pm docket, usually a year from your first court date. If you have picked up any traffic violations within that time, you will be very likely not to receive the benefit of a reduction in your charge or in your punishment when you come back to court for the return date. Because of this, I typically recommend that you take a defensive driving class before court. That being said, you should only take a driving improvement course if your case is serious enough that a driver’s improvement course is necessary. The Arlington Court places a strong preference on the Driver Behavior Management Program. It is an in-person course located in Arlington that is split up between multiple weekends. You can sign up for the course by calling 703-297-2688. 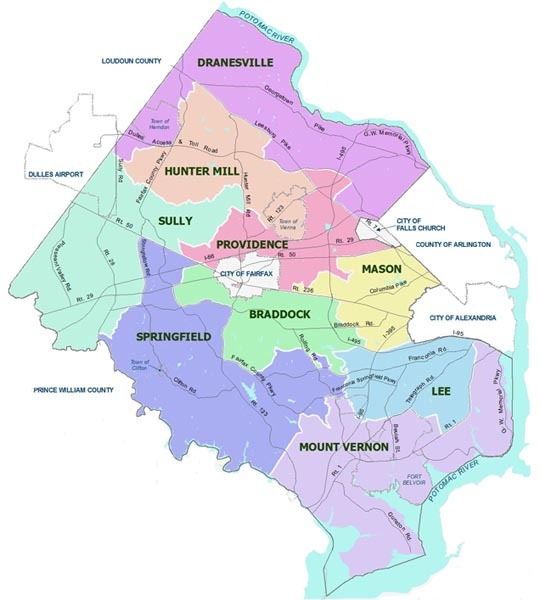 Prince William County is the second most populous jurisdiction in Virginia. The court handles many traffic cases on a daily basis and you can expect it to be crowded. Prince William County has a culture of offering traffic school for dismissal on minor offenses, and for lower speed reckless driving charges with a clean driving record, a dismissal is sometimes possible. The court and prosecutors in Prince William County are generally reasonable about reckless driving in comparison to other jurisdictions in Virginia. Prosecutors will negotiate both with attorneys and defendants who have not retained an attorney. You should wait for your case to be called by the judge before speaking to a prosecutor, so that your case does not get called while you are outside of the courtroom. When the judge calls your name, just stand up and tell him that you’d like to go out into the hallway and speak to the prosecutor. Many accident cases in Prince William County are initially charged as reckless driving, but then the police officer tells the judge that it is appropriate to reduce to improper driving. If that happens, you may not even have to speak to the prosecutor. However, you should be sure that an improper driving is the result you want before you agree to it. Although it is not an overly strict jurisdiction,, the general rule of the thumb applies that going above 90 miles per hour puts you at risk of jail time or a license suspension. In that case, I would advise at least consulting with an attorney. 1. Will I get jail time for my reckless driving charge? While it is technically possible to serve jail for reckless driving, only a small percentage of people charged with reckless actually face that possibility. The full range of punishment allowed by the law is a fine of up to $2,500, a license suspension up to 6 months, and up to 12 months in jail. In reality, only drivers who were going more than 90 miles per hour, caused a serious accident, or have a very bad driving record are at risk of serving jail and having their license suspended. But remember, even if you don’t get a jail sentence or license suspension, reckless driving is a criminal conviction and a six point offense with DMV. Many jurisdictions will allow an attorney to appear on your behalf. If you do not plan to hire an attorney, then you will need to go to court. If not, you will either be tried in your absence and convicted of a misdemeanor or a judge could issue a bench warrant for your arrest. 3. Does the officer have to show me the radar to charge me with reckless driving for speed? The radar and LIDAR guns actually do not work this way, and you should not expect an officer to show you proof that you were going the speed that is alleged. You will have ample opportunity to challenge any problems with the government's case in court, and it will typically only hurt you to argue with the police officer on the side of the road about proving how fast you were going. 4. Will a reckless driving show up on my criminal record or background check? Reckless driving is a criminal offense, and will go on your record as a conviction for a misdemeanor. I have found that it will not always show up on a background check, depending upon how an employer or other entity checks your background. The main problem is that you will typically need to answer questions when applying for a job, security clearance, graduate school, or for a professional license about whether or not you have been convicted of any crimes. If you are convicted of reckless driving, you would need to answer ‘yes’ to those questions. 5. I have a security clearance, what happens if I get a reckless driving? Typically a reckless driving conviction, especially for speeding, is not going to cause someone to lose their security clearance. That being said, you will need to disclose it, provide details, and typically have a more intrusive or ‘thorough’ background investigation. The disclosure requirements vary by level of security clearance, but as a general rule a reduction to a simple traffic infraction of a fine of $149 or less will put you in a position where you do not need to disclose the case when apply for security clearance. 6. Is there a first offender program for reckless driving in Virginia? There is no sanctioned or statutory first offender program, although some courts in the Virginia will allow you to complete defensive driving program to have the charge dismissed or reduced to a regular ticket. This depends on the county where you are charged, as well as the details of your case. For more serious reckless driving cases, the court will not offer a reduction, and you could even be looking at a license suspension or jail time, even for a first offense.